It feels a little odd after the flurry of the new family photos, and our retrospective post looking back over the year, to share a post with no new photos of His Royal Highness, nor loads of new info. But because of the occasion I wanted to cobble something together, so here we go, beginning with sentiments of the day as expressed on Twitter by the folks from the Tour de France. ….Kate, accompanied by her nanny, Maria Borallo, and a police protection officer, drove George to Buckingham Palace so the little prince could see his great-grandfather, Prince Philip, who was unable to attend the party due to work commitments. Arriving at around 11am, they spent an hour at the Queen’s official residence and as they were inside the band of the Irish Guards played a tuneful rendition of Happy Birthday in honour of George’s big day. 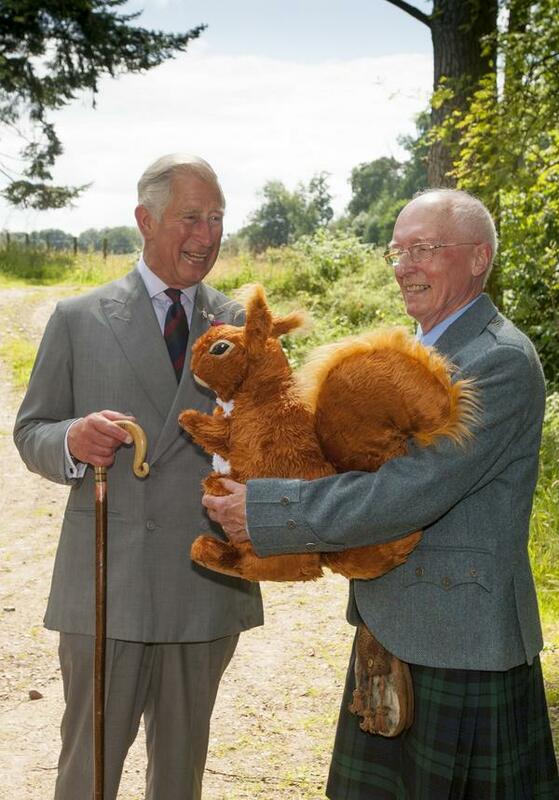 Camilla was also given a gift for the Prince, a tweed teddy bear. The Duchess took part in Edinburgh International Fashion Festival activities today, making this a perfect gift. 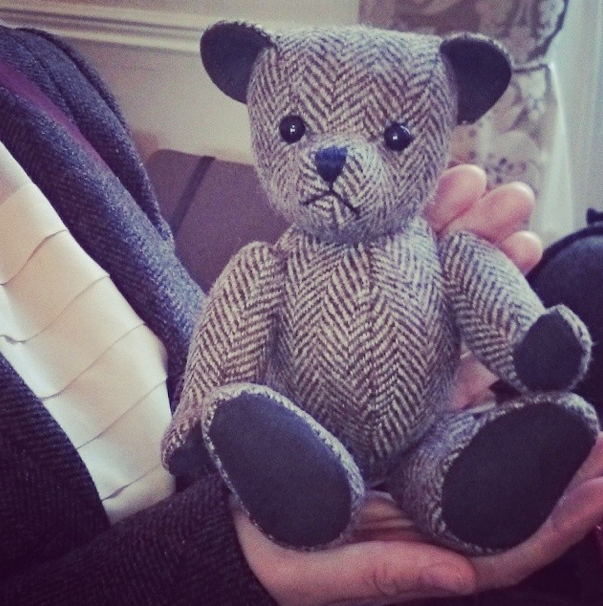 Scotland’s Harris Tweed textiles are renowned and the industry is experiencing a resurgence that is wonderful to see. Elle magazine used the event to create special George emoticons. Hmmm. LEGOLAND Windsor designed a birthday party for Prince George. A closer look at the family (ahem) shows Kate & William in party hats, George in his high chair, and Lupo gazing intently at the table. More specifically, the cake. I think he’s after the cake, don’t you? You can see more photos of the display at the LEGOLAND Windsor Facebook page. More updates on the availability of George’s Petiti Bateau overalls/shortall, our first from Anni, who left a comment telling us German retailer Tausendkind is still offering the piece, she purchased the shortall today for her little boy. Click here to check the store’s inventory, the item is on sale for 43 €, about $60. Another commentor, Katrin, shared that the Petit Bateau dungarees are offered online by another German merchant, My Toys. They are available in smaller sizes, 3M and 6M *and* discounted by 50%, click here to visit the website. Special publications celebrating HRH’s first year continue to be released, the Daily Mirror has published a souvenir magazine, George’s First Year. From my limited view of things, perhaps the photograph that best sums up the Cambridge’s joy in their little boy is this one, taken during the recent tour as the Plunket play date wrapped up. to see some of George’s cutest faces, click here for a compilation from Hello!